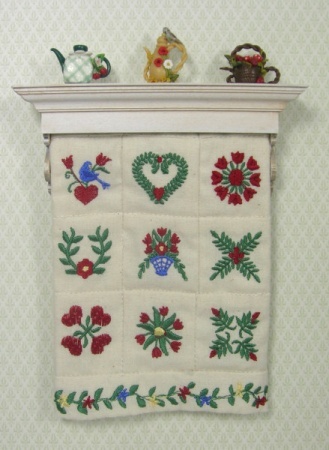 Elegant Wall Shelf with Quilt Display Rod. Fretwork brackets support shelf, which is trimmed in lovely molding. Looks great with a shabby chic finish as shown. Available in three widths. Quilt and accessories NOT included.